Review: Hairspray. Nottingham Theatre Royal (touring) – East Midlands Theatre. 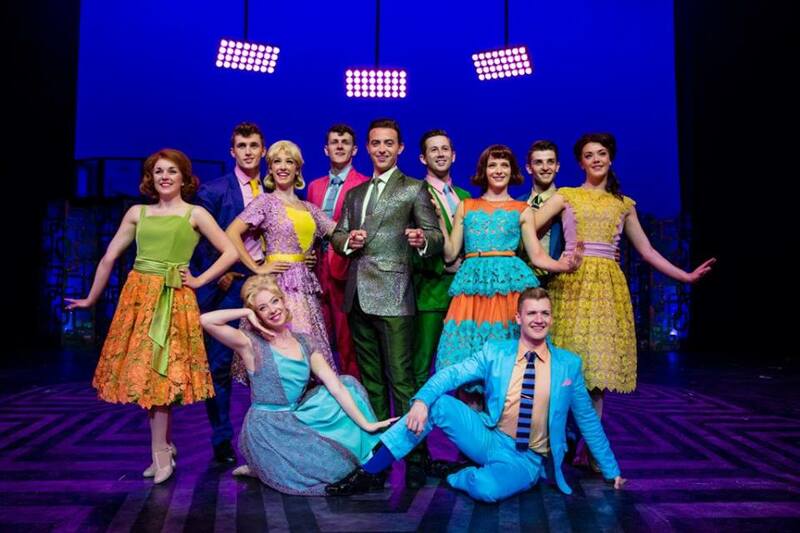 Hairspray the musical erupts onto the stage like a luscious, effervescent packet of Refreshers – colourful, tasty, bursting with energy – and doesn’t stop til the curtain drops. The cast stamina is phenomenal and with no weak links. This production is a sure-fire sweet success. Based on the film by John Waters, Hairspray is choc-full of well known songs like ‘Good Morning Baltimore’ and ‘You Can’t Stop the Beat’, every one a foot tapping, memorable number. But it’s longevity as a musical is surely due to the strength of the story at its heart. Tracy, a big girl with a bigger heart, dreams of becoming a dancer on the The Corny Collins Dance Show on TV but when she finally wins her place, she becomes a local hero and takes it upon herself to challenge the rules of racial segregation. Based on true-life events at the Buddy Deane Show in 1963, when a mixed bunch of white and black teenagers stormed the studio to denounce segregation, it is a story that, sadly, does not seem that out of date, with plenty to relate to in today’s world. The show blasts along at a break-neck pace, but with absolute assuredness and conviction in the singing and dancing. 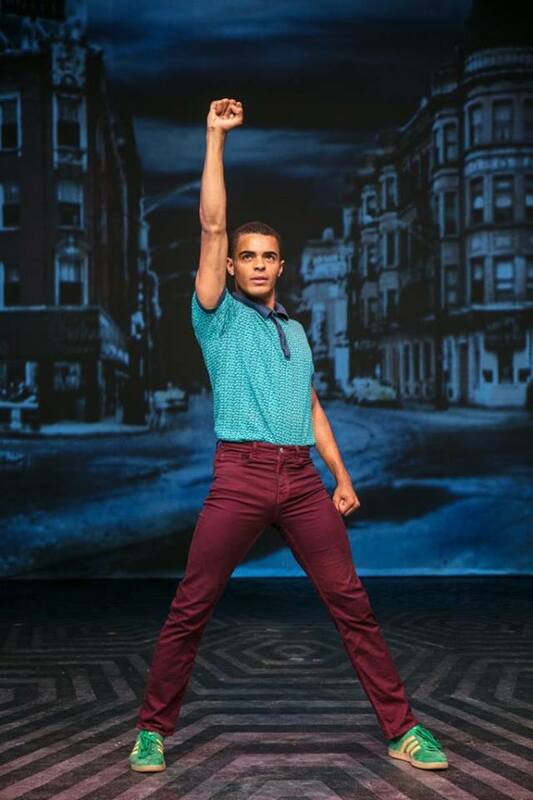 The choreography by Drew McOnie is sweeping in its scope and precise in the 1950s references and details. The dancers are hugely impressive, leaping, jumping and twisting as if they are lighter than air. The costumes are a riot of clashing colours, like a party in a paint factory, and the clever set and animated lighting create a complete, sugar-coated world. Paul Kerryson’s direction is top class. Rosie O’Hare (understudy) plays Tracy Turnblad in this performance and is faultless from the first note, giving us a character to warm to. Equally impressive is the lovable Link, played by Edward Chitticks, who is part smarm, part charm in just the right amounts. Gina Murray as Velma sings with huge gusto, even when upside down! There are some stand-out performances that get the audience on their feet even before the end of the show. 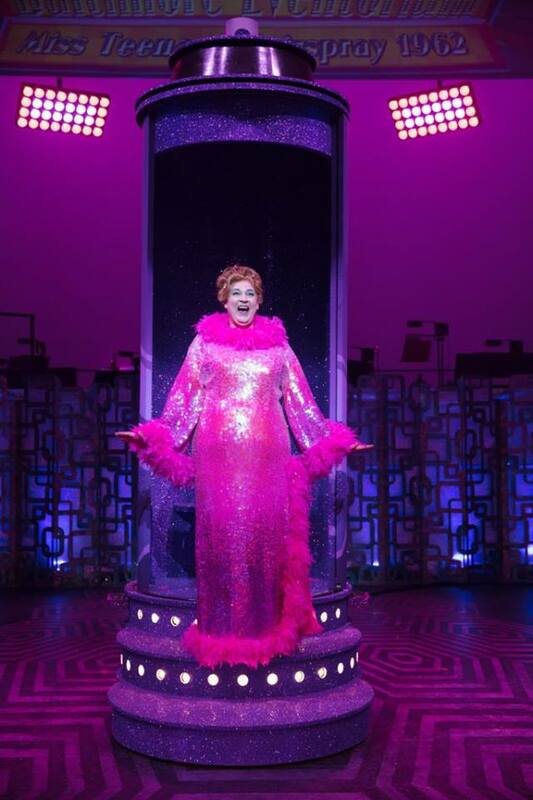 Matt Rixon is larger than life Edna Turnblad, a role traditionally played by a man, and when partnered with Norman Pace, playing her ne’er do well husband Wilbur, they bring the house down. ‘You’re Timeless to Me’ is both a heart-warming, romantic tune and a comedy duet. The rapport between the two actors is clear, so much so that a minor technical glitch leads to some brilliant ad-libbing. Comic timing par excellence! 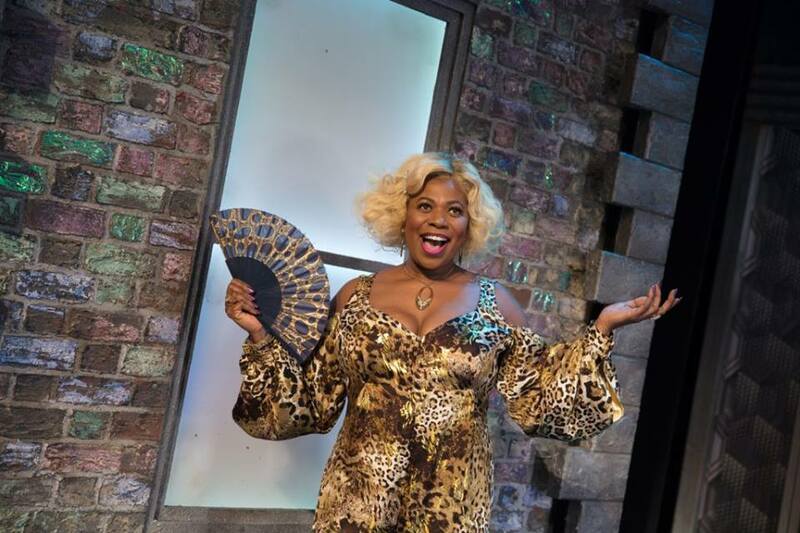 The other mid-show triumph is Brenda Edwards as Motormouth Maybelle. With her huge, powerful voice she fills the theatre in the poignant and rousing ‘I Know Where I’ve Been’. Supported by the dynamic on-stage band, Edwards raises the energy levels through the roof. 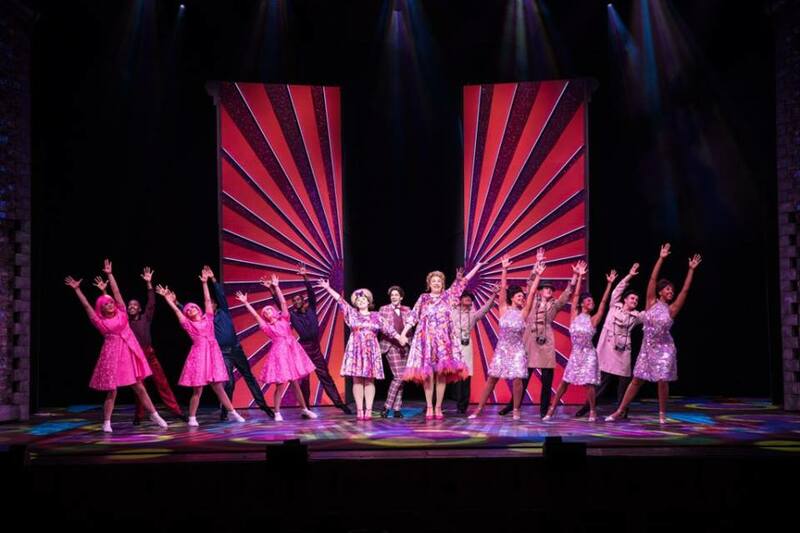 Hairspray is a joyous, fun-filled popsicle of a musical, and this production is a kaleidoscopic explosion of colour and energy, a celebration of life and love, which avoids the saccharine. Delicious. 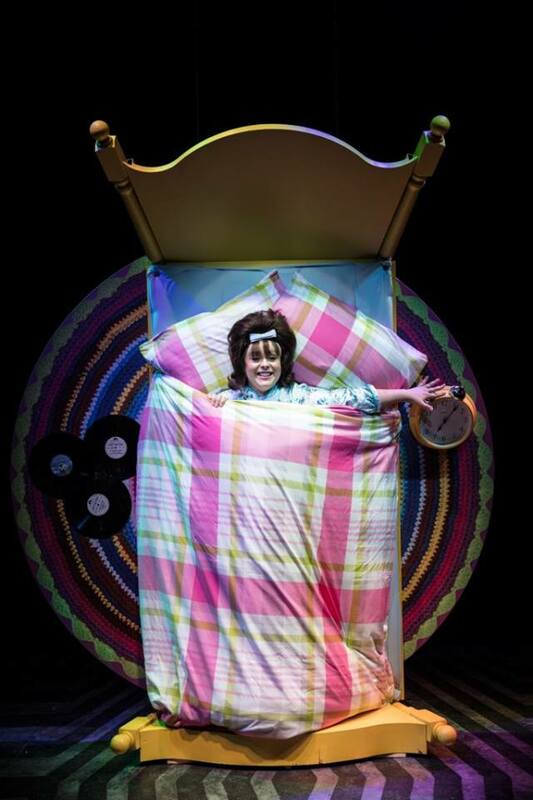 Hairspray runs at Nottingham Theatre Royal until Saturday 24th Feb 2018.
Review: Beth Steel’s Wonderland. Nottingham Playhouse. EAST MIDS ARTISTS ENCOURAGED TO ‘AMPLIFY’ THEIR CAREERS. Nottingham Playhouse.